I love to read. Just about any subject. I’m one of those people who can find something interesting to read from the magazines in the dentists office and the hair salon. Whether it’s Ladies Home Journal, Guns and Ammo, Reader’s Digest, The Wall Street Journal or The Economist, I’ve developed the life-long habit of reading. From monthly book club choices to new reading Apps on my Kindle and iPad, I could simply read all day long – even if I wasn’t paid to do it. One of the best ways to cultivate your writing ability is to read regularly. As I was reading this recent post, I thought this advice was not simply valid for PR and Marketing folks, but for all business people. Besides writing regularly, how do you continually improve your writing skills? I agree with you Renee. If you can’t read or write for enjoyment, your writing wont improve significantly either. Something that I think helps a lot is not only practicing writing or reading something, but also discussing it with people. It’s always a great learning experience to see someone else’s point of view on the same piece of material and it can help you look at things in a different light. I’m very bad at being critical of other people’s work, but my friends love to pick apart and analyze books, articles, even T.V shows. When I talk with them about it, I learn all sorts of new ways to look at different material. I definitely agree with you, Renee. I read a lot and really enjoy it; however, when I look back at my high school years when I was assigned readings, a lot of the time I hated it. I didn’t find a lot of value in it when I was not enjoying the experience. Alternatively, when I chose the book myself and found one I really loved, I found it incredibly effective in a lot of aspects of my life. I agree with you Jillian. I similarly also really enjoy reading. I also write during my free time, as a hobby. I think that to become a better writer, you must be an avid reader. Reading also keeps me updated on important business issues and global issues. It is always helpful to be able to mention business articles, and issues that you’ve been reading about in interviews, or at the office. Being a good communicator in business is vital to being successful. Reading and writing are both key in learning how to be an effective communicator. Reading is indeed a very effective way to improve writing; especially for people who’s not a native speaker of English (or other language). Reading provide me a better sense of how to write in the way that make sense to readers. It does take a lot more time for me to read English materials compare to Chinese since it’s my second language. I agree with you that reading can help me to improve my writing skill even though in the beginning to learn the second language-English need to take more time to read it. Sometimes I like to read novels to lead me to increase leaning in English interesting. Also it help me to easy memory the vocabularies and how to write in the correctly way from writers. I am the same way! I try to read things in French, whether that be novels or magazine articles, and while it is definitely difficult, I find my comprehension, vocabulary, and grammar skills improving. I’m no where near fluent yet, but it can be really rewarding when I get through a large portion of the text and find myself understanding most of it. When constructing a written piece, it is crucial to ask yourself “Who will be reading this?” Knowing your audience is vital for tailoring your message. I would also recommend outlining your thoughts as much as possible before you start the drafting process. This will help you practice the art of clarity, logical flow of ideas, and the power of your opening/close. I think Jim nailed it. Who you are determines what comes out. This means whatever you put in yourself will inevitably come out. So whatever you want to come out, you will have to put in first. If you want good vocabulary, good structured thoughts and good writing skills you will have to read. I have always been a reader, I love reading an have always enjoyed a good read. Whether it is from a novel, magazine article, newspaper, etc. Reading is always going to help us learn new terms, meanings, understandings. It allows us to visually see what is going on as well as allows us to critically think. When we critically think we are able to see things in a different, more detailed light. I have also noticed that the more I read the more I am able to write better. Writing has always allowed me to put my thoughts to good use. The more I read the more I expand my vocabulary. The bigger my vocabulary is the more I can express myself and produce quality work. I totally agree that one of the best ways to cultivate your writing ability is to read regularly. If you want to develop better writing habits, you will have to do more than just write. More reading for better writing is really exact. In fact, reading is just as crucial as actually writing. From my experiences, I am also not a native speaker of English, like Claire and I-Ling, so I read and speak much more slowly at the beginning of studying English, even when I came here, I still clearly remember that I was very excited and had a feeling of success when I finished reading my first English novel. Certainly, due to more readings, I have improved my writing skills (PS: I have always thought that more reading can help me know more vocabulary and information), read faster than before as well. In my opinion, reading is the single most important activity that leads to better writing. In addition to reading more, joining a writing community and collecting writing resources can improve our writing. This is absolutely true. Writers need to read all kinds of stuff a lot. When I was in my high school, my teacher always emphasized on read because to be a good writer, people need to grasp the art of language, to appreciate the finer points of words. As you read, you should jot down ideas and capture thoughts as they come. Nothing inspires a writer like reading someone else’s words. As a writer, you’ll find yourself hitting plateaus and roadblocks when you aren’t reading. You’ll run out of words, if you’re not regularly being challenged through books and other material. Maybe, this is the reason why every class in PSU requires having a research paper. Its purpose is to force you to read. Like most college students I also enjoy reading and it certainly has helped my writing skills. I also have frequently volunteered to edit the papers of friends before they have submitted assignments. Being able to critique someone else’s work has also helped me develop as a writer and I recommend everyone do the same. Reading what someone else has written helps us see how sentences work or don’t work. Did we get lost in the words, paint a picture in our head and remember what we read? I think subconsciously as we read someone’s work, we develop a photographic image of either the words on the page or what the words are instructing us to do. Reading also opens up to new words that we wouldn’t have used before. One should strive to read at their appropriate level or above to be most effective. I have noticed that when I don’t read for a while my writing gets bad and I start forgetting how to spell some words which is very unprofessional. Reading also gives you other examples of words to use to broaden your vocabulary. It is definitely important to read, but it is interesting how many people actually read. I hear many people that say, “I don’t read”. This is an unfortunately reality in our society where people don’t put emphasis on reading. Concerning writing, I think that it is a scary thing to rely heavily on spell check in word documents. I feel like that only adds to a lazy mentality to writing. To improve my writing skills, reading is a good way to go. I will also get multiple people to proof read my papers and ask them to give honest feedback on the parts they’ve corrected. Also, taking a free online course for fun could be a good way to improve writing skills. With growing technology and everything being so accessible on the internet, you can for sure find a good tutorial or writing class for free online. I agree that reading improves my writing skills… especially when it’s my second language that i don’t practice that often. I was in a french school for almost 10 years and ever since i graduated I started to forget this language. then I started to read french novels and watch french movies and I noticed that my writing skills improved. I also depend on my peer’s proof reading as a way to improve my writing. There is so much truth in it. Reading and writing go together hand in hand. For me, having English as my second language and the fact that I acquired it rather late in my life, reading has become the number one tool to increase my passive vocabulary (all the English words I understand but I am still not able to use when in an active conversation). However, I still feel my active vocabulary is only half the size of my passive one. (I understand way more than I am able to express). Writing helps to increase the active vocabulary as I am searching for words to express myself in written form, and reading over my paragraphs repeatedly, these words will become active because I have been using them myself. I definitely agree with this post, reading has most definitely enhanced my writing skills and vocabulary throughout my writing. Reading not only makes people more knowledgeable about a variety of topics but I feel that it allows me to be more open minded when brainstorming different ideas. There’s no doubt that reading helps with spelling and grammar. I agree this article. reading book help me improve writing skill and also give a knowledge. I can learn new vocabulary or formation of sentence from reading book. 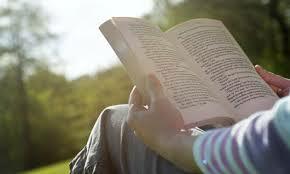 but i think in order to improve my writing skills,i have to be conscious of a writing and sentence when i read book. I agree that reading can improve your writing skill. For me, I improve my writing skill after I reread my edit writing from somebody else, so I would know which part I got to improve, from the structure of sentence, the word selection, basic grammar. I could learn others voice and put into my skill. I have found that being put into a situation where you are forced to write will improve writing skills. When I first started at my current job I was awful at writing simple business emails. There was so much culture and jargon that I had to work around that I had trouble putting together a normal email. After months at the job things got much easier. I agree that one of the best ways to improve our writing skills is to read regularly. I wish I adapted that earlier when I was a child. The kids I nanny for, a boy and a girl, as opposite as they could be. The girl loves to read always did since she was little and has the best grades is the most creative writer I have ever meet and knows the most words as well as has an easy time picking new knowledge up. I know that has also to do with genes but for the boy who as never read much at all all those asks are hard and he is struggling with simple grammar and spelling. Some of the other things that I think could help with those skills are creating a blog or having a journal, that can help us discover new story ideas and write freely. Another way for us to practice our writing skills is to take a favorite newspaper or magazine article and rewrite it. that is specifically important for college so that you can create your own ideas from someone else words so you don’t run into plagiarism issues. To be honest, I don’t read as much as I should. I read a lot as a younger child but for some reason, have since dropped the habit. It’s certainly not something I’m proud of. As a full-time worker and student, it is hard to find time to read non-assigned reading material. I also had never really taken writing seriously or thought it was something I enjoyed. However, in my earlier years of college, I had a really great writing professor, who I will say, was a little rough around the edges, but pushed her students to become strong writers. I took all of her advice and continue to push myself into becoming a stronger writer. I like to think that I’m a good writer, and have had some professors back me up on that but, I know I could be much better and I do agree that reading more will certainly help me get to that point. I also work in a business environment and communicate a lot via email with colleagues and customers, which entails lots of constant writing. I always make it a point to ensure my writing is professional and gets the point across. I do find it surprising that many people that I work with, who are much higher up the chain, including managers, have very poor writing skills. Some are even very unprofessional, using the classic texting abbreviated words to email other employees. To get back to the point, and really, the main question, although I’m not an avid reader, I do listen to NPR for many hours per day, just about every day. I’m assuming, or at least hoping, that the professional dialogue I’m constantly listening to on NPR is helping to improve my writing skills. As someone who enjoys reading and writing I couldn’t agree more. I wonder if the Jane Austen she was reading was “Pride and Prejudice.” Reading opens up more than just vocabulary, it offers a differing perspective; including the use of vernacular from different characters. While most text books are too dry, books written within a professional field tend to speak more about real life experiences and are another way to help build your terminology within the field you wish. Someone told me one that if you read about your field for an hour a day, in seven years will you will have the knowledge of the greatest experts in that field. As a marketing major it’s mandatory to have the ability to communicate ideas thoroughly through writing. A professor once mentioned to me that since his early twenties, he’s made a habit out of carrying a notebook around with him wherever he goes. He uses this notebook as a journal and also as a way for him to write down ideas he has for a marketing campaign or any idea for that matter. He mentioned that he’d come up with ideas for inventions, games, write poetry, songs, and do everything in his notebook, through this, he was able to recollect ideas, have a reference point in his writing, therefore enabling him to become a better writer. Besides this little tidbit of advice, he also mentioned his dislike for laptops and technology, stating “the act of physically writing, from picking up a pen, doodling on a page and scribbling out words all have physical motion and that muscle memory from your hand is linked to your brain which helps you better retain what you created”. Since that day, I too have started carrying around a notebook for those same reasons, and I must say that my writing has significantly progessed since. I completely agree on this. I’ve heard it said that great leaders are great readers and I’m certain that great reader make great writers. I feel back in love with reading a few years ago when I got a Kindle for the first time. I do a lot of traveling for work so I love having hundreds of books in something I can fit in my back pocket. My Kindle has been with me in China, Philippines, up and down Africa, throughout the middle east and in dozens of states. Last year I read more than 45 books— nearly one book a week. I’ve seen my writing improve as I increase the diversity of what I read. I like striking a balance between reading memoirs, studies, young adult fiction, newspaper article and tweets. So many different voices and formats bouncing around in my head give me lots of creative freedom and keep me from getting stuck in a rut. I believe that reading can really help a person’s mentality capacity. Reading can improve a person’s writing. I know that my writing isn’t up to the standards that may be required of a job in the industry I want to go into it. My hope for once I graduate is that I’m able to read a little more for fun and it will help improve my writing. Right now I don’t have a lot of space time to read and write for fun. The fun reading that I do is usually sports related articles. I also love to read. I have dozens of books downloaded on my Kindle, most with the intention of someday reading (school, work, etc..). I find that memoirs are the most helpful for me when it comes to improving my writing skills. I like how they seem to be a story told from another person directly to you. They help me improve on expressing my own thoughts, and how much detail is appropriate when telling a story. I’ve heard one of the biggest mistakes in writing is assuming the reader knows more than what you’re telling them. This helps me to remember that every paper or story I write should be its own created and isolated “world”. I realize that good writing skills are extremely important, and look forward to reading more this summer. I also hope to take a creative writing class sometime before I graduate. Writing is a critical skill for the 21st century knowledge worker. We all communicate with writing, but not many of us really put a lot of effort into getting better at it. Even myself, I don’t think that I do much to improve my writing, except for the practice that I have to do in communicating with people. I also red, but to be honest, I think video is really hurting people’s ability to read. When you read you absorb new ways of talking and telling the story. You understand the mechanics differently and I think that’s important to do, but video makes it a lot more difficult, because we read less now.